This Norooz, at the threshold of a new decade of the Persian calendar, we felt less energetic. It seemed there was something missing in the spring air of Iran this year. One could even feel it long before the Persian New Year. Last year, taking advantage of Norooz’s customary social occasions, we gathered together for the second meeting of the Green Convergence of the Women’s Movement. But this year our annual New Year visits were a hell of sadness and grief. Some of our few survivors had left the country. We did not even have access to the home we used for our second gathering last year. Some friends are in prison or under house arrest. Zahra Rahnavard, with all here ceaseless efforts in defending women’s rights, Nasrin Sotoodeh, with all her law-abiding struggle and her resilience, Fakhri Mohtashamipoor, with all her zeal and faith in organizing the network consisting of families of political prisoners, and Haleh Sahabi, with all her admirable modesty and humility, were all missed by their colleagues and friends this New Year. Here at home, Nargess Mohammadi’s agony and pain has become everyone’s worry. She has been in our thoughts when she has to carry the load of the responsibilities for taking care of her two children in the absence of her husband, Taghi Rahmani, amidst the comings and goings between an unsafe home and the prison where he is kept. We were also wholeheartedly with our imprisoned friend Bahareh Hedayat’s husband, who was vainly looking forward to having his wife with him for the Norooz holiday. And the grievances of the Mourning Mothers added to all other pains and worries, made our Norooz meaningless and empty of joy. In such a grim, cold, and gloomy mood, we went to pay our annual customary visit to our lady of poetry Simin Behbehani. But her warmth and revitalizing words and spirit overcame our depressed mood and brought us back our lost hope. Such a precious gift! Though our visit did not last more than a half an hour, a treasure of knowledge and wisdom resulted from it as usual. She warned us against the inevitable destiny that is awaiting us all; she reminded us that we might lose the chance to appreciate this lady of the pen and to celebrate her writing while she is still alive. We felt the long-neglected necessity to acknowledge the efforts and works of this pioneer woman writer, something that we were even about to forget regretfully. As if discovered anew, we discussed the way to implement it with her. A long-time friend and companion of Simin Daneshvar, Ms. Behbehani could not have been less encouraging. In our Norooz visit to Shahla Lahiji we discussed the issue with her. Still re-cooperating from the fractured she received in a car accident a while ago, she accepted our request and generously offered her assistance and insight as to how to plan the project. Though she had her criticism of Daneshvar’s novels and stories, she very gallantly showed her good will and professionalism in overlooking her differences when it came to respecting and appreciating others’ ideas, experience, work, achievement and efforts. As was expected of her, Shahla Lahiji agreed quite willingly to help us in this project to celebrated the effectiveness and role Daneshvar played in the literary movement in Iran. It was in this spirit, and during the blissful days of Norooz, though the atmosphere was not so celebratory, that the plan for a special issue devoted to Simin Daneshvar restored in us vital energy and activity. We all decided to celebrate the life of Simin Daneshbar, a woman who depicted her years of "voluntary solitude" quite comprehensibly to us all. The Feminist School has tried to devote special issues to introduce to its audience well known Iranian women who have performed great services to women and the women’s cause. Under present conditions, where the movement is somewhat inactive and when insecurity and political violence prevails, those who are active in the field of journalism know very well how the inactivity of various civil societies and institutions has led to fatigue within the community of activists. The existing political insecurity has encouraged a wave of migration among the activists which has made it even more difficult to conduct a research project on the lasting effects of these pioneering women. But given all these circumstances, with the immense help and sincere cooperation of our members and friends here and abroad, we succeeded in collecting, interviewing, and researching enough materials to be able to publish a special issue on time when it was due for each occasion. In 2010, we succeeded in publishing 10 special issues on special occasions, including the centenary of the Constitutional Revolution and the birthdays of Forogh Farokhzad, Simin Behbehani, Sedigheh Dolatabadi, Alamtaj and Ghaemmaghami and and special issues for protesting violence against women, the arrest of Nasrin Sotudeh, and the new family plan laws, and the fourth anniversary of the Campaign for one Million Signatures, and the ninetieth birthday of Setareh Farmanfarmayan, the mother of social work in Iran. Now, just at the beginning of the Iranian New Year, we are very pleased to present the first special issue of this year devoted to our esteemed writer and scholar Simin Daneshvar. 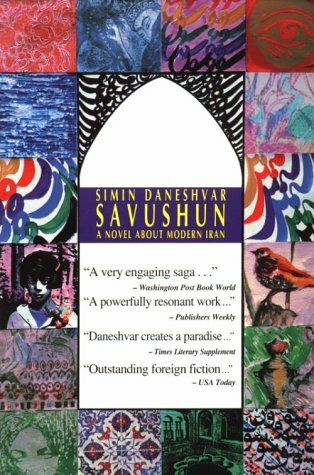 Simin Daneshvar, novelist, scholar, and literary critic, who wrote Sovashoun, the first modern novel written by an Iranian women, turns 90 this year. She was born in April 28, 1921, in the city of Shiraz. She was the third child of Ms. Ghamarolsaltaneh Hekmat, a talented active painter, despite her responsibility as a housewife, and Dr. Mohammad Ali Ghamarolsaltaneh. Simin attended the English bilingual school, Mehr Aiin, in Shiraz for her elementary and high school education. (The was highly unconventional and elitist for her time.) She graduated with distinction, attaining first ranking on the national level. 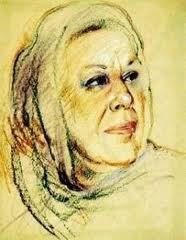 She then quite successfully entered the department of Literature in Tehran University in the fall of 1938. Her literary and academic life flourished in Tehran’s open society of those days, even though she has started her writing career a year prior to entering the university in 1937 by publishing her first story, Winter Is not unlike Our Life, in a local newspaper. In 1941, in her third year of university, she started her job in the cultural department of Tehran Radio Broadcasting. Soon, after just a few months, she started writing essays for various radio programs. Her creativity and love for writing drew the attention of many intellectuals, journalists, and chief editors of newspapers to her writings. In 1943, after resigning from Tehran Radio Broadcasting, she started working with the newspaper Iran, though her passion for writing did not let her to stay within the confines of one newspaper. In 1945 she started to write and translate for many other publications as well. In the mid-fourties, Simin, in the open political atmosphere of the her time, at the peak of her youth and creativity, found it difficult to quench her inexhaustible thirst for writing just by writing and translating; she started her fiction writing career by writing short stories. Of course, she enjoyed the encouragement and support of Dr. Fatemeh Sayyah, the first female university professor, and the giant of Iranian literature, Sadegh Hedayyat. In 1948, one year before she received her PhD, she published her first collection of stories, The Extinguished Fire, the first modern fiction ever written by an Iranian woman. This collection contained 16 short stories. It was in this blessed year that she established herself as a serious literary figure in Iranian fiction writing and it was in the same year that, quite accidentally, she met her future husband Jalal Al-e Ahmad, a famous Iranian writer of the time, on a bus trip to Shiraz, her hometown. It seems that meeting Jalal Al-e Ahmad added even more into her writing zeal and talent. The following year, 1949, she had two more books ready for publication. Enemies by Chekov and The Chocolate Soldier by Bernard Shaw were both translated by her and were well-received by her readers. Her enthusiasm for learning, her efforts to advancement her knowledge, and her passion for writing not only made her well known in Iran and gained her the chairpersonship of Iranian PEN, but, gained her international recognition. Her second collection of short stories was published twelve years later in the winter of 1961 and titled A City Like Paradise. During these twelve tumultuous years, the years of the nationalization of Iranian oil followed by the overthrow of Dr. Mossadegh, it seemed that the political and social turbulence had energized her all the more; active and hopeful, she choose to translate instead. It was in such an atmosphere of political challenges that she translated great literary works such as Shame by Nathanael Hathorn, Cry, the Beloved Country by Allen Paton, and later a collection of short stories, Sunny Honeymoon, by Ryunosuke Akutagawa. However, it happened that one of the greatest literary events of Iran, the famous Sovashoon was written by the talented author. It was published in 1969 right after the death of her husband, Jalal Al-e Ahmad. This great novel is one of Iran’s literary bestsellers and was translated into 17 languages. She had a long pause in her career for almost 25 years, after which she published her last novel, Wandering Island, in 1993.